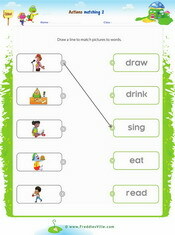 These worksheets relate to vocabulary of action verbs in the present simple tense. 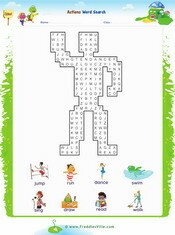 You will find tracing worksheets, crossword puzzles, word search puzzles, matching exercises and more. 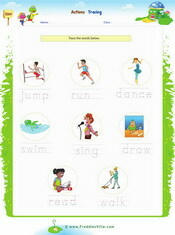 Words used include: Sing, read, fly, dance, run, write, swim and walk. 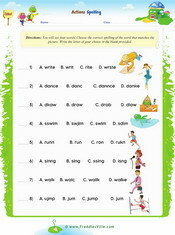 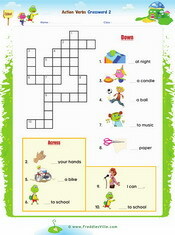 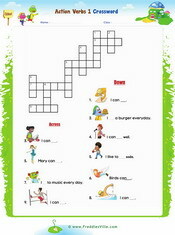 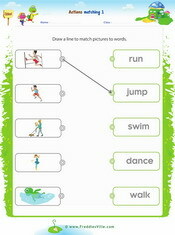 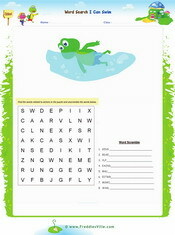 Words used include: Jump, run, dance, swim, sing, draw etc.